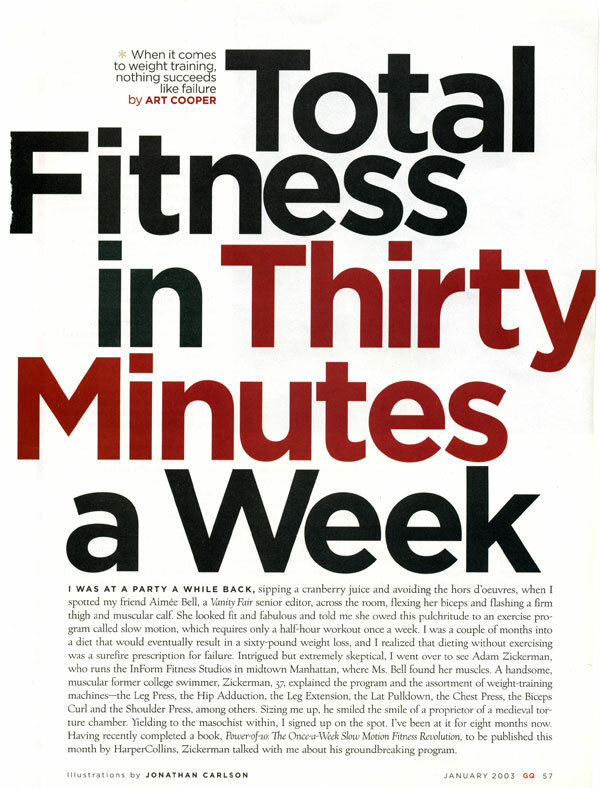 Total Fitness in Just 30 Minutes Per Week! New Wave Fitness in Lake Forest offers a quaint, intimate setting with one on one personal training. 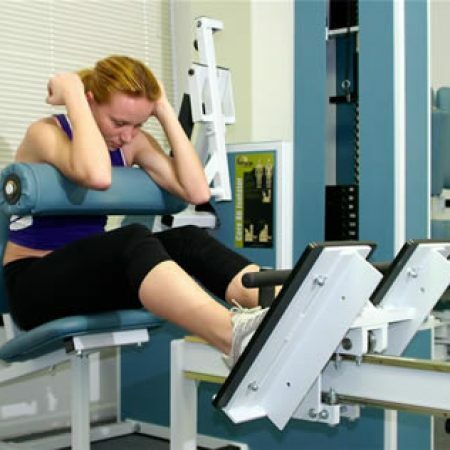 The facility is not set up for a class or multi-client environment, so each client has the full and undivided attention of the instructor at all times. Each session is personally designed to fit your needs and abilities. If you’ve ever felt like you can’t keep up with the class or group, New Wave Fitness is for you. You progress at your pace. You’re never pressured to do more than you are reasonably comfortable with although, your instructor will advance you as your progress is noted. This method of training is suitable for beginners, advanced, young or older. 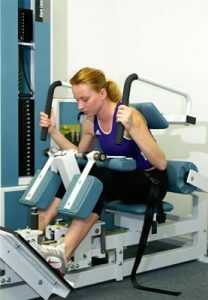 New Wave Fitness benefits any level of fitness or shape. 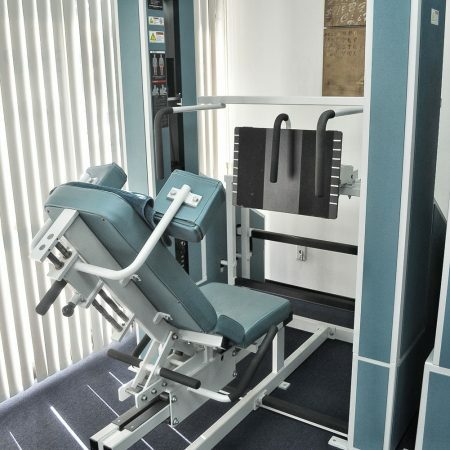 The facility is conveniently located right off the 5 freeway near Lake Forest and Aspan Street. in just 30 minutes a week. Your Slow Motion session will be one on one in a private training studio. New Wave Fitness provides a unique highly focused training session. All sessions are one-on-one. We limit the number of people in the training area, so there are no distractions. New Wave Fitness will help you achieve your goals. 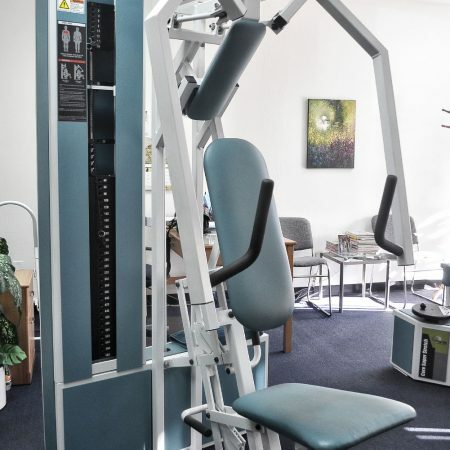 Only in our studio can you find the Core Spinal Fitness System. 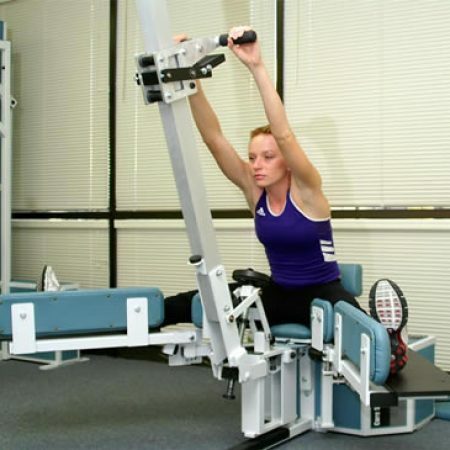 The Core Spinal Fitness System is a medically based workout system that targets and enhances factors essential to spinal health: strength, stability, and endurance. A Strong core is what provides a solid foundation for all body strength. Over the last 30 years, the technology of golf has improved drastically. We have titanium clubheads and graphite shafts, golf balls that are designed to longer distances, computerized caddies and numerous other gadgets promising to improve our game. With all these incredible advances in technology, why is it the average golfer’s handicap is the same as it was 30 years ago? PGA professionals know that the secret to a better golf game is not a new set of clubs or the latest golfing gadget. It’s core strengthening. All the pros are raving about how much better they play with a stronger core. 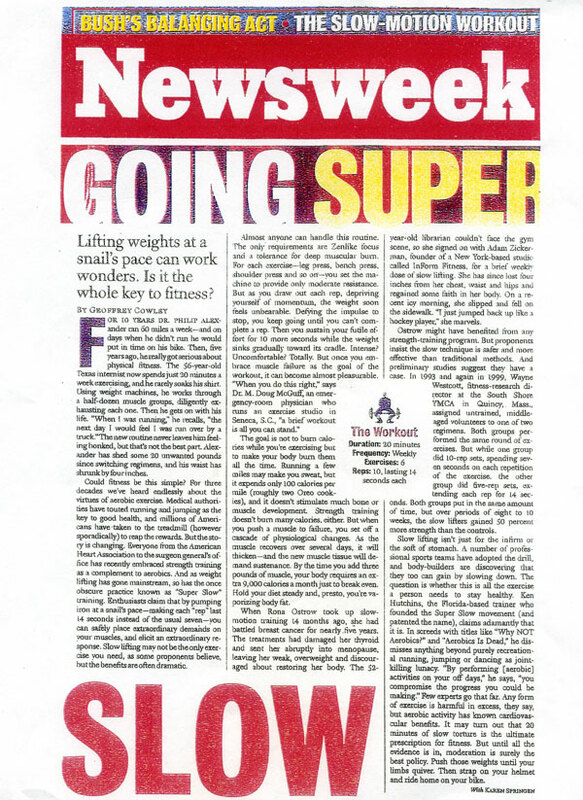 "The workouts that I have had at New Wave Fitness using the slow-motion method, has been the most effective weight training that I have had. I have consistently been increasing the weights week by week which is far better results than I have had in the past using the traditional methods. And best of all, I only have to work out once a week for less than one hour, saving a lot of time!" 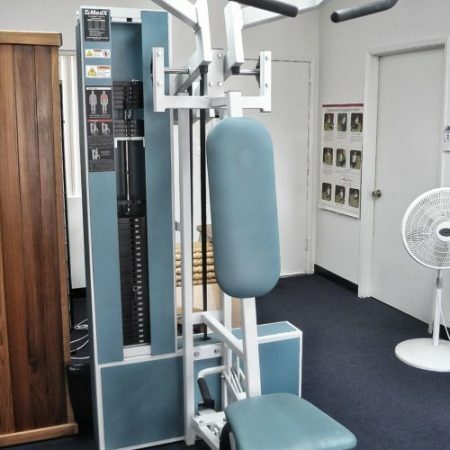 "After years of making monthly “donations” to my neighborhood gym, I finally found a work out that fits my busy lifestyle. I started off doing a weekly session with Elizabeth in August 2007. At first, I was skeptical. How could 30 – 45 minutes a week transform my body? How wrong was I! The difference between slow motion fitness training and any other fitness program is that it targets your whole body. I noticed that during my workout I was not only toning my muscles, I was also getting my heart rate up to a cardiovascular fitness level; a crucial factor for fat loss. Within 6 months, I went down from a size 16 to a size 12… and the inches continue to drop. Most importantly my recent physical showed that my blood pressure and cholesterol levels were completely within the normal ranges." 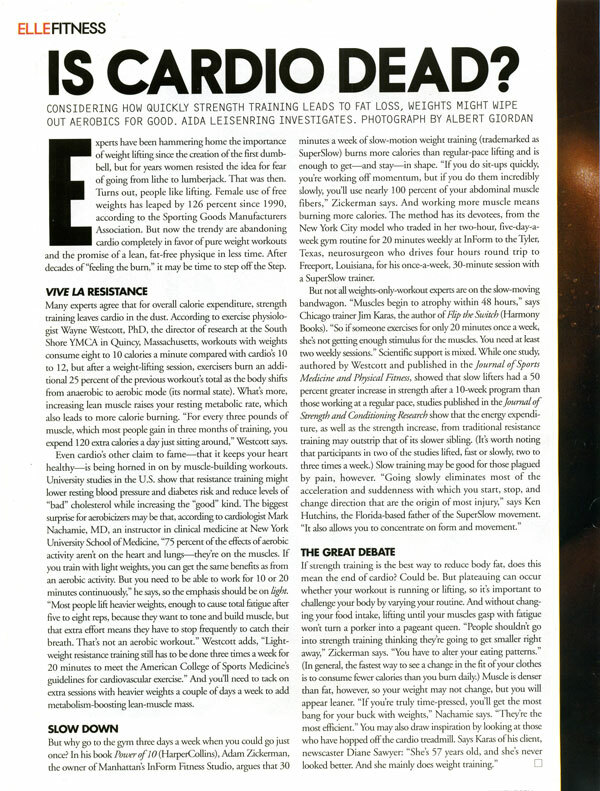 "I had never heard about slow-motion weight training until my fiend Lynn told me about it. I knew after the first session that this is an exercise program that I can live with. I have had personal weigh training in the past, as well as working out on my own in various gyms, but this program is, by far, teh most compatible with my lifestyle and needs. It amazes me that I can achieve noticeable results in just 40 minumtes, once per week! My nutritionist recently performed a body mass index test (BMI) on me and asked, "What have you been doing? You've gained six pounds of muscle!" Needless to say, she was delighted and so was I. And, that was after only 2 1/2 months of trainng combined with some moderate walking. So, thank you, Elizabeth for providing and work-out program that works." "I am an avid soccer player. Since I joined New Wave Fitness and started my regular exercise program, I have increased my strength and flexibility dramatically. My better condition helps me better play my soccer games. It is truly 30 min of a very intensive workout but when I leave the studio, I feel so much better, more relaxed and rejuvenated. I know that I did not waste my time." "I gave birth a few months ago but my weight didn't drop since then. I decided to do something about it. I can see results after training every week with a professional trainer who motivates me for put effort into my exercise routine. After a couple of months, I can see differences. I am stronger and toned, my fitness level improved, I feel my muscles, which is something I didn't pay attention to before. I am close to my weight goal and it makes the routine so easy because the workouts are short and only once a week, so fits perfectly into my schedule." "I turned 70 years old last year, I thought it was time to get my body in shape. I’m a type II diabetic and try to keep it under control by diet and exercise. By attending a 30-minute session once week I have built up my muscles, improved my strength and also lowered my blood sugar levels. I feel great and receive a lot of compliments on my physic." "I am so impressed. 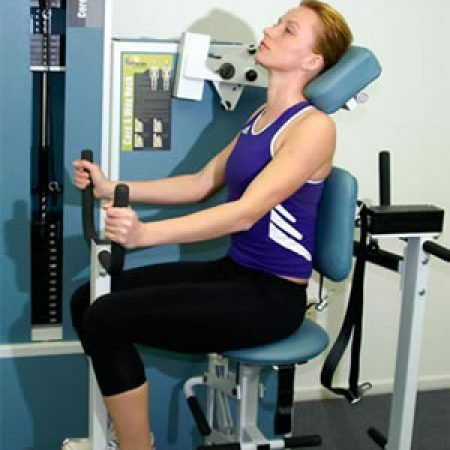 This is the only program which so quickly and efficiently improved my posture, and I no longer have back pain"
"I turned endless hours in the gym into 30 min. once a week - and have the best shape of my life." "An excellent workout for anyone who wants to get in shape. I have spend years training in "public" gyms without nearly the results I have achieved at New Wave Fitness in a fraction of the time. I used to train 1 to 2 hours every other day and now I only train 30 minutes once a week with better results"
"New Wave Fitness and Ella's expertise is a breath of fresh air. It's amazing the results in just a few workouts. The work out is quick and efficient. I look better and most of all I feel better. I highly recommend New Wave Fitness Center"
"Being a Doctor of Chiropractic for 20 years and an athlete, I have spent much of my post graduate education and practice on Fitness, Sports and pain relief. My studies brought me to the Slow Burn Fitness Method. I began recommending the books by Stu Mittleman, and the Slow Burn Revolution and also the Fitness Center to my patients. I was astounded at the results. Patients were returning to my office not only looking and feeling great in as little as 3 weeks, but their bodies told me an even greater result. 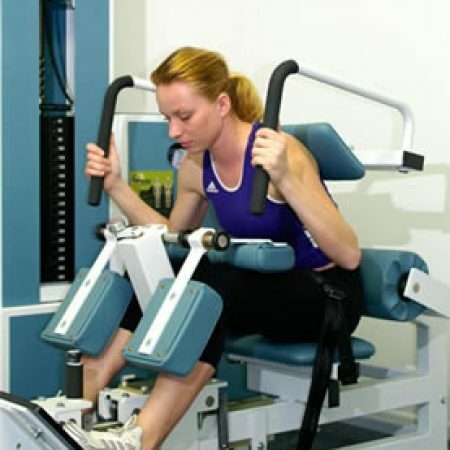 I found improvements in patient’s joint pain,range of motion, and of course strength. 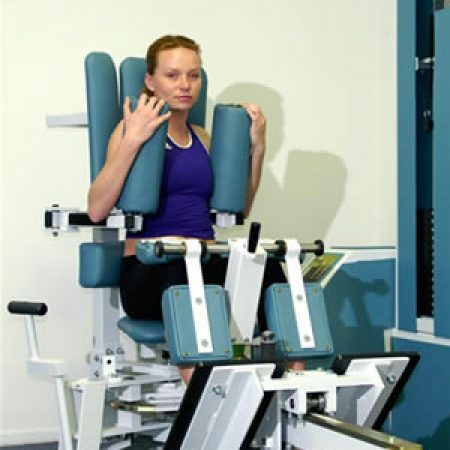 Posture was improved and the body’s ability to hold the spinal adjustment. I highly recommend the slow burn fitness method of exercise along with good nutrition and spinal alignment as a method to slow down the aging process." "I am a fifty-nine-year-old male, who in June 2003 had three heart attacks within eleven days, underwent triple bypass surgery, and was diagnosed with high blood pressure, high cholesterol, and type two diabetes. Since then my health has improved tremendously and all of the above are under control without medications. The secret is a healthy diet, and very important exercise, exercise, and exercise. About a year ago I heard and read about New Wave Fitness, and I decided to give it a try. The concept of slow-motion weight strengthening is something that I had never heard of before; the one on one workout with Elizabeth is by no mean a walk in the park, but the results cannot be ignored. Weight losses, muscle tone, energy, stronger upper and lower body, metabolism stimulation, flexibility are just a few of the magnificent results I have been able to achieve at New Wave Fitness. If you are reading this testimonial stop; pick up the telephone and get started. You won’t be sorry; I highly recommend it to young and old alike." "Slow Motion Exercise will make you feel good. For almost 10 years I have been suffering on and off pain in my right shoulder. Often my back hurts when bending down. After just one month into the Slow Motion Exercise, I started to feel the positive effect on my shoulder and lower back. I felt pretty good, less pain. Yes, it was tough to get going and the first 6 to 8 exercises were often grueling. But then my body got used to the exercise and with guidance of the one-to-one personal instructor, each session made me feel stronger; more in charge of my overall stamina. While on a plane trip, lifting luggage into the upper bin was so much easier than ever, thanks to my strength training. I found that I sleep better and the exercise is very good for my daily outlook. Listen to your body and then do the right thing… Slow Motion Exercise once a week." "I am one that does not like “working out.” I don’t go to gyms or any kind of fitness program. When I found out about New Wave I gave it a try and it was definitely the work out for me. I love that it’s private, clean and can be completed in just about 30 – 45 minutes a week. I also like the personal attention I get at each machine so I don’t have to think about anything but just pushing myself as much as I can. I got results immediately in strength and tone. I am so glad I found New Wave." "I have been training at Slow Motion Fitness for 6 months. I am a professional Martial Artist and was concerned that this type of low rep, high weight exercise would make my body too bulky and slow. Elizabeth put my fears to rest and over the past 6 months I have gained considerable strength without sacrificing my speed or agility. In a very short amount of time, Slow Motion Fitness has had measurable results in increasing my strength, and I would recommend it to anyone." Book Online - First Session is FREE! New Wave Fitness offers a FREE 60 Minute Fitness consultation and session for new customers. Book your session online on computer or phone. 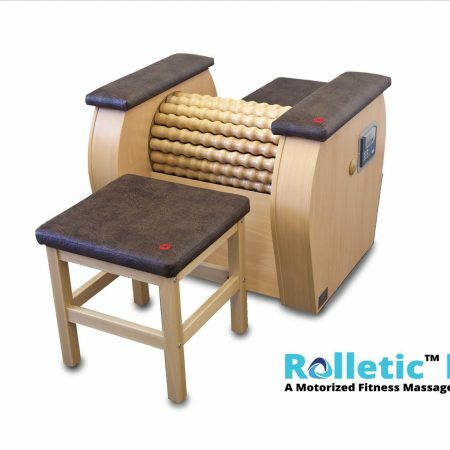 Private Far-Infrared Sauna – Just You! If you have any questions regarding gym facilities, services or schedules or have requests or suggestions to make, feel free to give us a call or fill out the form below.